Elena Milashina, the Russian journalist who broke the news that hundreds of gay men were being detained, tortured and killed in Chechnya has been selected for an award for journalistic integrity from Harvard University. The Louis M Lyons Award for Conscience and Integrity in Journalism was announced by Harvard’s Nieman Foundation earlier this week. 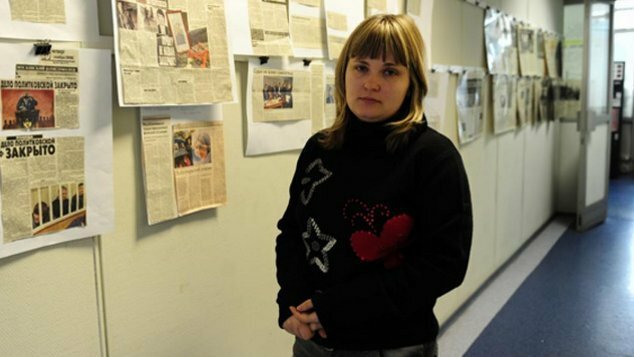 In naming the journalist from Nova Gazetta, one of Russia’s most prominent independent newspapers, the foundation said Milashina was responsible for groundbreaking and persistent investigative reporting on human rights abuses in Russia while enduring threats from powerful figures. She was also chosen as a representative of independent Russian journalists who continue to work in the face of hostility and persecution from the nation’s leaders, agencies and their associates. In selecting her for the award, Nieman Fellows in the class of 2018 said the reporter was an inspiration to journalists around the globe. After the journalist reported on the abuses in Chechnya was forced into hiding, and faced death threats from political leaders. In recent years six journalists from her newspaper have been killed. It’s not the first time Milashina has been awarded for her brave work. In October 2009 she was awarded Human Rights Watch’s Alison Des Forges Award for Extraordinary Activism. In 2013 Milashina was given an International Women of Courage Award by the US State Department. Past winners of the award, which was established in the 1960’s, include Edward R Murrow, Sri Lankan editor Lasantha Wickrematunge and journalist Mohammad Nabbous who was killed while reporting on the ‘Arab Spring’.